Help us kick off the New Year at our first luncheon of 2017! During this program we will recap our successes from 2016 and hear from key Industry leaders on trends, opportunities, and potential challenges we may face in 2017. Our presenters will speak to destination marketing, demand drivers, the global economy, technology, and new supply, while offering tips on leveraging analytics and tools to be the most profitable in 2017. Plus, you will have the opportunity for a complimentary tour of Dodgers Stadium after the program! 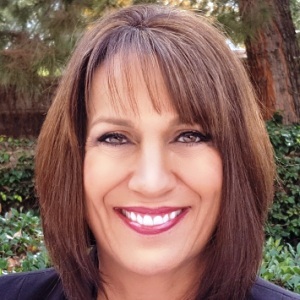 Wendy Kheel joined the Los Angeles Tourism and Convention Board five years ago as Vice President, Tourism Insights. She is charged with overseeing all tourism related research and data analysis enabling the organization and its members to formulate well-informed marketing and sales plans and make fact-based business decisions. Prior to her current position, she was Director, Consumer Insights at Universal Studios Hollywood for the 12 years where she managed an internal consumer research department that designed, executed and analyzed research influencing the strategic, operational, and marketing objectives for the theme park. She was Director of Market Research at Walt Disney Imagineering for nine years and Senior Manager at two hospitality-industry consulting firms: Laventhol & Horwath in Los Angeles and PKF Consulting (CBRE) in Los Angeles and Philadelphia. She has a Masters of Hotel Administration from Cornell University, a MBA from the University of Miami, and a Bachelor of Speech from Northwestern University. Stephen Hennis, MAI, ISHC, CHA, oversees STR’s consulting arm based in Broomfield, Colorado. Steve has over 20 years of experience in the analysis of lodging real estate investments. Previously, Steve was Managing Director of Hospitium, a lodging advisory firm specializing in acquisitions and developments. Prior to becoming Managing Director of Hospitium, Steve was Vice President of Hospitality Investments for Lowe Enterprises and Destination Hotels & Resorts where he worked on acquisitions, dispositions, and development projects. Steve managed transactions through the underwriting, negotiation, due diligence, and transition process. Steve previously served as Vice President and Director of Research for HVS International and also held positions at Marriott International, Caesars World, and the award-winning Castle Marne bed and breakfast. Over his career, he has appraised and evaluated over 500 lodging facilities, and has been involved in the underwriting, negotiation, acquisition, and disposition of over $600 million in luxury hotels and resorts. 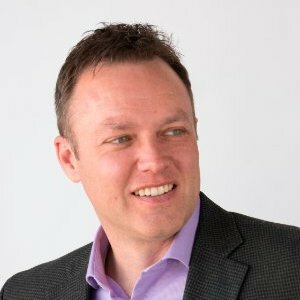 Steve is a graduate of the University of Denver’s Fritz Knoebel School of Hospitality Management, and also sits on the Executive Advisory Board for the school. He is a frequent presenter and panelist at major industry conferences. Steve is a member of the Urban Land Institute, the International Society of Hospitality Consultants, and an MAI designated member of the Appraisal Institute. Jill Knox manages some of Sabre’s most Strategic Partnerships in Los Angeles, Las Vegas and San Diego. She has over 25 years of experience in the Hospitality and Tourism industry. Jill began her career as Tour Operator and Travel Agent until she moved into the hotel sales world with Bartell and Evans Hotels in San Diego. After spending 6 years with Evans Hotels, with her last position as Director of Sales at the Lodge at Torrey Pines, she joined the San Diego North Convention & Visitors Bureau as the Director of Sales. Jill spent 7 years with the Convention & Visitor Bureau before she moved into the Online Travel Agency world and worked for Travelocity for 8 years as a Senior Market Manager. 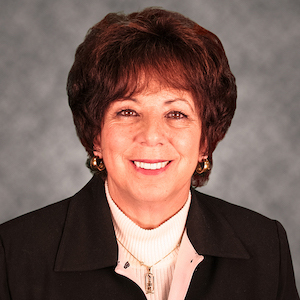 Jill came back to Sabre and joined Sabre Hospitality Solutions in 2014. Enter through the Sunset Gate A located at the intersection of Stadium Way & Vin Scully Ave (formerly Elysian Park Ave). Stop at the visitor’s security gate at the far right side of the entrance. * this is the only gate that is open on non-game days. Tell the guard you are here for the HSMAI event in the Lexus Dugout Club. You will be directed through the parking lot that will take you Lot P/Top of the Park where you can park. You will see the Team Store at the top of the stairs and the elevators behind the store. You will take the elevator down to level one where you will enter the Trophy Gallery and entrance to the Dugout Club.